Dear Prof. Sharma, it is my great pleasure to have an interview with you regarding medieval Persian literature. One of the controversial issues in Iranian studies is which period can be specified as medieval. Based on the history of the Persian language which phase of history do you regard as medieval in Iran? As you know, in Persian literary studies the framework has always been Bahar’scategories of the Sabk-e Khorasani,Eraqi, Hindi, Esfahani and Bazgasht. It has been a very useful framework stylistically and also corresponds somewhat to historical divisions. But I think your question is a very good one because that division does not force us to think of these categories in terms of medieval, early modern and modern and I think it is very useful to think of them that way too. For medieval, in my opinion, it would be for the literature of the Ghaznavid period to literature of the Timurid period. Some people might consider it too late to be still medieval, but I think that because big shifts took place after the Timurid period and we entered the early modern period with a much more connected history, culture and literary histories between the entire eastern Islamic world for which the term Persianate is now more fashionable. For me the end of medieval is definitely at the end of the 15th century. Based on the characteristics of Persian language to what phases do you divide the medieval history of Iran? For example some scholars divide the medieval time into two phases of pre-Mongol and post-Mongol. Yes, I think that’s a useful division and, as I said earlier, also corresponds to Bahar’s categories; pre-Mongol is more courtly literature and post-Mongol not entirely courtly. This division is useful to some degree but not necessarily so, and especially for when I look at the production of Persian literature in India, we actually speak more about the Sultanate period, followed by the Mughal and then colonial periods, so it is a very different division. Therefore, when we look at this from just a South Asian and Indian point of view, then you have to work with a different set of categories. But when you look at a larger connected Persian history the pre-Mongol and post-Mongol division definitely makes more sense. Because in many ways the Mongol period also had an important historical impact on the way that Indo-Persian literature developed. The lives of a lot of scholars and many other literary figures such as Mawlana Rumi were affected by the Mongol invasion and they had to leave Central Asia and the larger Iranian world. Similarly a lot of scholars and poets left Central Asia and ended up in South Asia, at the courts in India. One of the most important figures of Persian poetry in India, Amir Khusraw Dehlavi, his father was a refugee from the Mongol invasion just as Rumi’s family was. So there’s astriking parallel. Therefore there are really two ways that the history of Persian in India can be studied: pre-Mongol and post-Mongol, as well as everything before the Mughal, from the Ghaznavid period to the Mughals, as Sultanate. So you mean that regarding Persian language Iran and India share some kind of division of their medieval times but they have their own peculiarities as well. They do. They share a literary history but when it comes to more political histories they are very different. Literary history has been shaped so much by how political history is viewed. In my opinion how to reconcile political history and literary history when we study of Persian literature in its larger context is a very interesting question and that’s the challenge now because so far there has been no history of Persian literature that considers the larger context. Persian literature of Iran and greater Iran is seen as unconnected to India but they were connected. This is a challenge for future scholars. Can you explain a little about your remarkable book Persian Poetry at the Indian Frontier: Mas‘ûd Sa‘d Salmân of Lahore? How could poets including Mas‘ud Sa‘d transmit the Persian literature particularly poetry to India? The case of Mas‘ûd Sa‘d Salmân is very interesting. When I became interested in him while reading his poetry with my advisor at the University of Chicago, Heshmat Moayyad, a famous scholar, we were reading him as purely as a late Ghaznavid poet because Mas‘ud Sa‘d was writing when Lahore was part of the Ghaznavid empire, so not a center of Indian Persian. It’s very interesting now we have changed the orientation a bit that we think of Lahore as part of Indian Persian literature. I’m partly responsible for that and it’s not wrong to see him at the center of a new kind of literature in India. But really he should be also be seen as a Ghaznavid poet living in the provinces. So when I studied him I began to work on his divan and read it carefully for my doctoral dissertation I was focusing on him as a poet who was a successor to poets like ‘Onsori and Manuchehri, Farrokhi, and Asjadi, not someone independent of the school of poetry at Ghazna. But then I began to read his poems carefully and realized that something else was going on at the same time. Although he was a Ghaznavid poet, by historical circumstance he was at the center of what would become its own tradition. He never saw himself independent of the larger Persian tradition, of course. 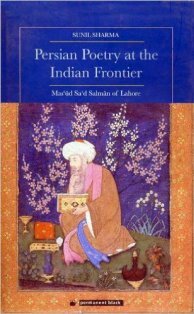 But later when poets in the Mughal period looked back for a history of a more unique Indo-Persian literary tradition they saw him as someone who is the first figure in that canon and very central to the idea of an Indo-Persian literary tradition. In a way Mas‘ud Sa’d would have been surprised that today he is considered a part of Indo-Persian tradition whereas for him he was just a part of the Ghaznavid. Did many poets live in India in the period between the Ghaznavids to the Mughals? They were many poets but we have very little information on them. This would be considered the pre-Mongol period between the Ghaznavids until Amir Khusraw, just over a century and half of which we know very little about the poets and the literature that was produced mainly in Delhi and Sind, and other parts of northern India. We have a few works like Divan-e Seraji which Nazir Ahmad has worked on. He falls in this period. This is the period that is still shrouded in a kind of darkness. This is the period, the 12th and early 13th century, that was very rich in literary production in Iran but not so in Delhi. I think it’s partly because there was still no idea of an independent tradition. It was the outpost of the centers of Persian literature in the larger Iranian world. What do you mean by independent? As I said in the beginning, and I should clarify, that it’s not completely independent but there is an idea that the Indo-Persian tradition only begins really with Amir Khusraw. Even though he is connected with other poets he is aware of Sa‘di and Nezami and many others and writing under their influence, but he is aware that it is his own kind of school. In Amir Khusraw: Poet of Sultans and Sufis you address two different themes: Sufism and courtly topics in the poetry of Amir Khusraw. How was Amir Khusraw able to combine these two different topics in his poetry? In the case of Amir Khusraw, it’s actually the way he has been received by later generations, either in Sufi circles as a Sufi poet or as a court poet, that the problem lies and not so much in the way that his own life and career took shape. We know that the world of Sufis and sultans were very much connected and cannot be separated them completely. Even when you have poets whom we can call Sufi poets like ‘Attar or Mawlana, they are not disconnected from the political and courtly concerns of their times. So you mean that the Sufi poets and court poets are notdistinguished. Even when the Sufi and Sufi-poets were independent of courts and the patronage of rulers, very often their works would have subtexts they would be responding to the political and courtly issues of their times. They were very much concerned with the existence of courtly way of life and structure. It was a different court when we talk about the court of ruler and the court of Sufi, but they are both courts. In a way they are two sides of the same coin. The vocabulary is so similar such as the term dargah. So the court of a Sufi shaikh and a ruler for a poet would be parallel spaces. But it is very important not to draw general and too broad conclusions from this because we have to pay attention to specific historical contexts. For instance the world of Amir Khusraw was very different from the world of Mulana. It is interesting to draw parallels and do comparative work, but one has to be very careful about the historical and contextual distinctions. In “The Sufi-Poet-Lover as Martyr: ‘Attār and Hāfiz in Persian Poetic Traditions” you address two different poets in two different phases of medieval time. What are the main arguments of this article? What factors connect these two different poets from two different phases of medieval time? This article is the topic that I would like to develop further. It was written as a contribution to a large volume of essays. The main point is that I was struck by the semantic connection between the word shahid and shahed, both used extensively in Sufi love poetry in Persian, and there is shahid-e ‘eshq and then someone who is the shahed, the beauty, the beloved of the Persian poet. How are these actually connected in the world of poetry? Either you see someone as the shahid-e ‘eshq but someone is a shahed. By chance I found that when you look at the hagiographical accounts of the lives of ‘Attar and Hafez, ‘Attar is often portrayed as the shahid because he was martyred in the Mongol incursions. Whether it was true or not it’s very important in tazkereh literature that you have a kind of martyrdom. This is not an extensively found idea but only in one place that I discussed in the article is Hafez called shahed al-marhum. I thought it was very striking that whereas ‘Attar was a Shahid, Hafez who is writing about the poetry of love and is so focused on the beloved the ma‘shuq is called the shahed. I intend to explore this idea in more sources to see whether it was just a passing reference about Hafez or whether he was more consistently regarded as the shahed himself in the world of love poetry. You have done many studies on Persian poetry under the rule of the Safavids and the Mughals. What are the main similarities in poetic themes, structures and styles shared by poets of Iran and India? Actually the study on the Mughals and Safavids is a new interest of mine. What drew me to this period is precisely my interest in the themes of exile, mobility, the newness and discovery of new ways of life and new kinds of cultures that poets write about. When we study Mughal literature, especially Mughal court literature, in the first century it’s really a literature of Iranians at the Mughal court. There were Indian poets writing in Persian but they are a very small minority in the first Mughal century. So what we are looking at is the expatriate writing of Safavids. This is a very interesting point that tends to be forgotten, because either Indian scholars focus exclusively on Indian poets, or on the other side, Mughal poetry is not really considered a part of the Safavid poetry. Of course, in our time and in the west, Paul Losensky has done pioneering work on these connections between the Safavid and Mughal courts, and his work is mostly focused on the ghazal form which was very mobile. It was easy for the ghazal to circulate in a larger Persianate world. My own interest shows that there are lots of other genres and poetic forms that were circulating freely. In the book that I’m working on, Mughal Arcadia: Persian Poetry in an Indian Court, I especially focus on topography and travel. I’m very interested in how poets of this period wrote about spaces, whether they were urban or the countryside. For instance, Iranian poets visiting the Mughal Empire were fascinated by Kashmir and there is a whole sub-genre of poetry on Kashmir mostly composed by Iranian visitors to the Mughal court. That in itself started a literary fashion and we see similar poetry on Mazandaran, though this was not as extensive, which is very similar to Kashmir because of its natural beauty and as a resort for the imperial families. So I’m finding very interesting parallels between Kashmir for the Mughals and Mazandaran for the Safavids. This kind of poetry has not really been written about. It seems that poets in the courts of the Mughals had more diverse poetic themes and styles in comparison to the poets under the Safavids in such a way that many Iranian poets migrated to India to have more freedom. What were the main themes that could be expressed more vividly in the court of the Mughlas? In other words, what were the contributions of the Indian poets to Persian literature? This is a very interesting point, the migration of the Safavid poets to the Mughal court and to the courts in Deccan as well, and lots of scholars have written about it. But we have to keep in mind that the reasons were not the same for the entire first century. The reasons varied from period to period and from individual to individual. Some left because of religious persecution, some purely for patronage since there were better prospects at the Mughal court for poets, and others went for family reasons. So it’s a very complex history of migration that scholars have begun to work on. I think what happens is that at the Safavid court even though there is a tremendously rich and wonderful literature being produced by poets, Safavid literature, especially poetry, and we see this in art as well, is still much more concerned with classical forms that are somewhat fixed and idealized, whereas the Safavid poets in India found a kind of freedom at court and exploited it to the fullest extent. For instance, in writing masnavis and romances Safavid poets and Iranian poets at the Mughal court drew on local themes, Indian themes, such as in the poem Naw‘I Khabhushani’s Suz o godaz, and others, and are about the exotic world that the Safavids encountered. This poem specially had a tremendous influence on Safavid literature, so we see that by the middle and end of the 17th century under Shah ‘Abbas II, his court poet and historian Tahir Vahid Qazvini wrote his masnavis completely under the influence of what was produced at the Mughal court. The influencing culture ends up being influenced and that’s how literature works. People are mobile and they go to centers of literary production where there are better chances of patronage and freedom to express themselves. But then they in turn influence the centers they left and the poets there. It’s never one-sided and there is an ongoing circulation of ideas and aesthetics and people, a constant process of influence and innovation. The number of women poets is so limited in medieval Iran. Did they have any critical impact on the process of Persian poetry? Regarding India, how did the women poets influence the themes and styles of poetry? This has been a great interest of mine, to study the role and contribution of women poets in the Persian tradition. We could say that they had a presence but how extensive an influence they had on the tradition really varies. I think a poet like Mahsati Ganjavi in the genre of roba‘i certainly had a great influence, but perhaps not beyond that form. Poets such as Rabe‘eh Qozdari or Balkhi definitely had an influence on Sufi poetry and poets were aware of her writings even though it is a very small corpus. Later the story changes in the early modern period when you have poets like the Mughal princess Zebunnesa ‘Makhfi’ and others who wrote poetry in Persian. Maybe someone will challenge me on this but I will make a statement about Persian women poets in the Indian context that the few women poets that wrote in Persian wrote at the Mughal court or in Mughal society and were more tied to the very elite or Iranian-centered literary world in the 16th and 17th centuries. But when women started writing in India in what I would call the Persianate tradition they really begin using Urdu. It is interesting that Indian men continued to write Persian as the classical elite whereas women used the language of the people. It’s an important distinction that women found their voice in a vernacular language. 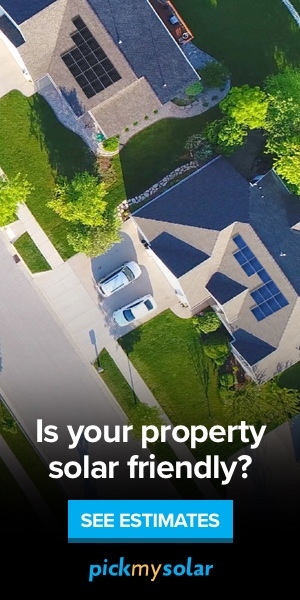 So maybe it’s the next project you are going to work on. I’ve written about the women poets of this period but I don’t think this idea has been explored fully yet. Yes, it is one among many other projects I am interested in. Persian language was one of the main languages of science and literature in India in medieval and early modern times. What social changes led to the replacement of Persian with other languages after the collapse of the Mughals? You’re absolutely right about Persian as a language of science because it was not just the language of poetry that we tend to focus on but also the language of learning, like sciences and other areas as well, which we absolutely cannot ignore. Persian actually continued much beyond the time in the 19th century after it was officially replaced by English in colonial period. Now we are starting to see it through the exploration of archives and manuscripts that Persian had a longer life than we thought and even to the beginning of the 20th century. My own idea which some scholars may not agree with is that the life of Persian in India is connected with the presence of vibrant Iranian expatriate communities. So that until the end of the 17th century there was a very vibrant Iranian community in the subcontinent who had an influence on the vitality of the language. You do have communities of Iranians living in India in the 18th and 19th centuries and beyond, but they no longer had the influence they once did. They were individual poets, trading families spread out across the land. The Mughal Empire had also broken up into smaller kingdoms so that there were Persian speakers in Hyderabad or Bengal but they was no central impetus to provide some sort of support for Persian. So the only language that was available to fill that void was Urdu and then it gave its place to English. So we have Persian, Urdu and then English? They are not exclusive. They are periods in which all three were used. The three of them also existed together in the 18th century and then in the 19th century, but over time the Persian language became irrelevant and less used. Can you explain a little about your upcoming studies on medieval Persian? Besidesthe book I mentioned that is an immediate project, Mughal Arcadia, in which Safavid poets had a big role to play, I want to focus more on comparative work, and I am especially interested in how storytelling traditions in prose and poetry in the Indian and Iranian traditions interacted with each other. This would be on a broader level, starting from the storytelling tradition of Sanskrit literature, Thousand and One Nights, the dastan and qesseh tradition, for instance the story of Amir Hamzeg and Chahar Darvish. These stories are really a map of long processes of interaction and connectivity, not just literary but also cultural. One of the texts that I am interested in, though it’s not so much a narrative story, is called Lezzat al-Nisa’ which is work on erotics which connects the world of the Kamasutra and Perso-Islamic ethics on love and eroticism. I also think there is a great need for more translations, especially from the Safavid and the Mughal period, because we have so few. When I teach Persian literature I realize that the lack of good translations of interesting works prevents us from making our students see what a cosmopolitan and rich world the Ottomans, Safavids and Mughals lived in. Dr. Sunil Sharma is the Associate Professor of Persianate and Comparative Literature at Boston University’s Department of Modern Languages and Comparative Literature, where he teaches courses on Persian and South Asian literatures. His research interests are in the areas of Persian texts, translation and travel writing. He has authored two monographs: Persian Poetry at the Indian Frontier: Mas‘ūd Sa‘d Salmān of Lahore (Delhi: Permanent Black, 2000), and Amir Khusraw: The Poet of Sultans and Sufis (Oxford: Oneworld, 2005); two collaborative works: Atiya’s Journeys: A Muslim Woman from Colonial Bombay to Edwardian Britain (New Delhi: Oxford University Press, 2010), and In the Bazaar of Love: The Selected Poetry of Amir Khusrau (New Delhi: Penguin Global, 2011); and co-editor of two volumes of essays, Necklace of the Pleiades: Studies in Persian Literature (Leiden: Leiden University Press, 2011); On the Wonders of Land and Sea: Persianate Travel Writing (Boston: Ilex Foundation, 2013). There are all besides his numerous articles on the Persian literature in medieval and early modern times including “Forbidden Love, Persianate Style: Re-reading Tales of Iranian Poets and Mughal Patrons” and “Redrawing the Boundaries of Ajam in Early Modern Persian Literary Histories.”He is currently working on the last chapters of his new book “Mughal Arcadia: Persian Poetry in an Indian Court”.
 . ( Iranian Studies, 2009, Vol. 42 (5), p. 765-779).
 . (Abbas Amanat: Iran Facing Others: Identity in a Historical Perspective) Basingstoke : Palgrave Macmillan , 2012.